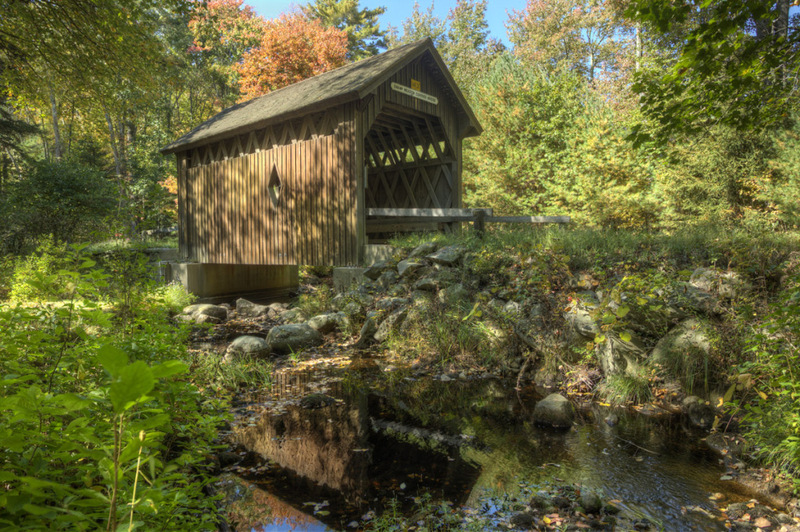 Pictured above is the Swamp Meadow Covered Bridge, Rhode Island’s only “public” covered bridge. I was surprised to find out that Rhode Island only had one bridge, while other states in New England have up to 100 of the beautiful structures. After determining where it is located, off Route 6 and Route 94 in Foster, I went out to photograph it with some fall color. It’s not as rural as you would think. There are a a couple of houses right next door to it, with power lines running down the street. It’s hard to get a nice photo of the bridge without modern technology in the frame. I was pleased with what I came back with and was editing and processing the files so I could post on the blog. I wanted to find out a little more info about the bridge. It turns out that it is a replica of an early 19th-century structure and was built by volunteers back in 1994. The timber was logged from nearby forests and the 40-foot-long bridge straddles Hemlock Brook. 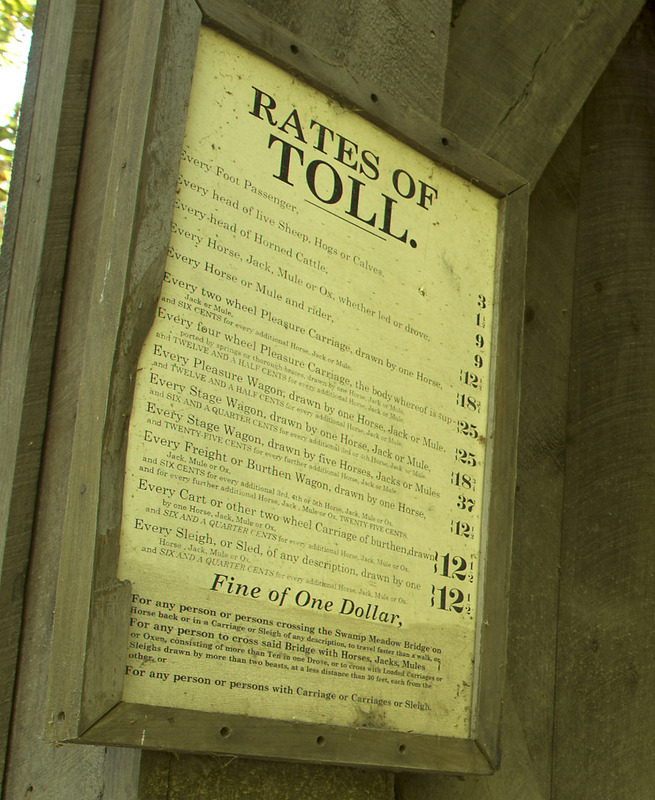 They went as far as putting up a Rates of Toll sign to make it look authentic.